We have two new gaming toys from NVIDIA this morning, the SHIELD Tablet and SHIELD Controller. Both devices are part of the newly-named “SHIELD Family,” which also includes last year’s SHIELD, which will now be known as SHIELD Portable. The SHIELD Tablet and Controller have been specifically designed for gamers, allowing players the best performance and gaming experience they could ever hope for while not on their gaming rig at home. Ultimately, NVIDIA wants to allow gamers to play mobile games, as well as PC games, in a way which was not possible before. Powered by the Tegra K1 processor, with its 192 core Kepler GPU, the SHIELD Tablet is every gamer’s dream slate. With an 8″ Full HD display, games will look crisp, run smoothly, and sound phenomenal with the dual front-facing stereo speakers. However, as all serious mobile gamers might know, a few games aren’t that fun with on-screen controls. This is where SHIELD Controller comes in handy. Made to play like a high-grade console controller, the SHIELD Controller seamlessly syncs to your SHIELD Tablet via WiFi Direct, which allows you to play your games virtually lag free. The controller features a built-in microphone, rechargeable Li-ion battery, a full button arrangement including a D pad, bumpers, triggers, A/B/X/Y buttons, topped off by a 3.5mm stereo headphone jack with voice chat support. 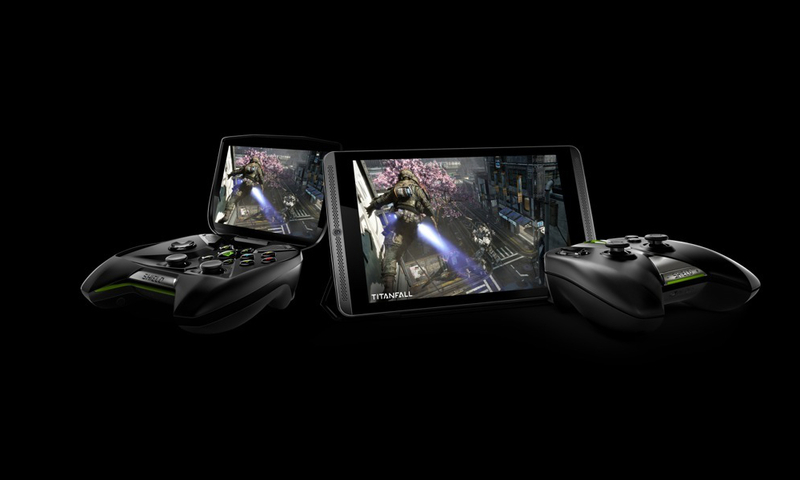 Given this is NVIDIA, the SHIELD Tablet and SHIELD Controller are compatible with GameStream, which is a platform designed to allow gamers to play their favorite PC games on SHIELD mobile devices. While hooked up to your home network, players can stream games via Steam to the SHIELD Tablet, and control the gameplay with SHIELD Controller. It’s quite the process, but once hooked up and booted, having tried it myself, it’s a great gaming experience. Keep in mind, though, that using GameStream does require a PC powered by a GeForce graphics card. One feature that stands above the rest in my eyes is “Stream to Twitch.” When enabled, users can stream directly from the SHIELD Tablet to Twitch for anyone to watch live, and can also overlay a direct video feed from the Tablet’s built-in front-facing camera. To give you an example of this feature, I could stream Call of Duty: Ghosts from my PC via Steam to the SHIELD Tablet, while at the same time, stream my gameplay and video footage to Twitch for anyone to watch in realtime. The SHIELD Tablet is the first device on the market to allow for this feature. Let’s talk pricing and availability. 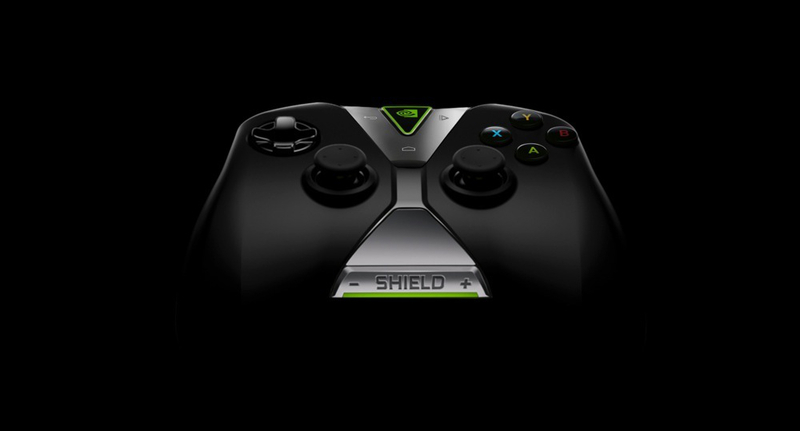 The SHIELD Tablet and SHIELD Controller will be made available beginning July 29, starting at the price of $299. The SHIELD Tablet with 16GB of storage with WiFi will be available for $299, while the SHIELD Tablet with 4G LTE connectivity and 32GB of storage will retail for $399. The SHIELD Controller is priced at $59. A cover/stand made specifically for SHIELD Tablet is priced at $39. We will soon have a full hands-on and impressions post with the SHIELD Tablet and SHIELD Controller, followed by a complete gaming review, but until then, check out the spec list and NVIDIA’s video below. As always, we want to know what you think of these new devices, so head on into the comments section below to drop your opinion of NVIDIA’s newest devices made especially for gamers.